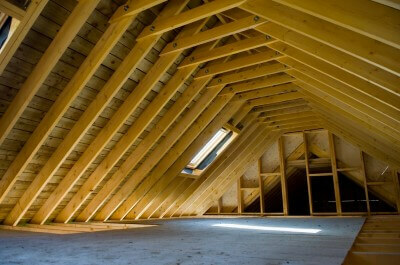 An unused loft space is a potential goldmine for usable living space that could add significant value to your home. Many people carry out loft conversions because they are struggling for space but want to avoid the expense, stress and uncertainty of moving house. Converting can be as ambitious as you want it to be, and however you choose to approach it, transforming your loft can add a whole new dimension to your home, and give your family an extra space to enjoy. But before you begin, you will need some key questions answering. 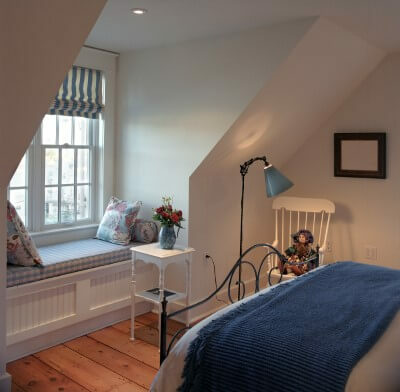 To help you get started, we’ve put together this concise beginner’s guide to loft conversions. What could my loft become? Once you start making plans, you’ll find that this tucked away space at the top of your house is full of possibilities. Some loft conversion ideas include: an extra bedroom, a home office, a gym, an entertainment room, or a room dedicated to a hobby, such as an art studio. Any obstacles that will need to be built around, such as water tanks and chimneys. The head height of the loft, which should be measured from the bottom of the timber ridge to the top of the ceiling joist. This should generally be no less than 2.2m if you want an area that is not cramped and impractical. If you don’t meet this requirement, then you could explore some solutions such as raising the roof a little. The pitch angle of the roof affects how high the central height of the roof is likely to be, and, therefore, how much usable floor space there is. Adding dormers may be able to increase your valid floor space. Can the floor take the weight? If not, measures may need to be taken to reinforce your property. So, you know what your new room is going to be, and you know roughly if your loft is suitable for conversion. The next step is to get approval to launch your project. Planning permission is not usually required for loft conversions unless you’re increasing the roof height, but check this first. Regardless of whether planning permission is required, Building Regulations approval will always need to be sought for loft conversions to ensure that the planned build will be safe, structurally sound and thermally efficient. The regulations also request that there are appropriate fire precautions and measures put in place, e.g. at least one escape-sized window. The planning and design stages will vary in length, and will hinge on what you want to achieve, and how long it takes you and your architect to produce a plan you are happy with. For the approval stage, it usually takes a maximum of around 5 weeks to get Building Regulations approval, and possibly longer for planning permission. The actual build itself normally lasts around 4 – 8 weeks depending on your own personal plans. Again, this entirely depends on the individual project. Often, the construction process involves incorporating essential features into the new space, such as floor reinforcements, skylights, a staircase, electric and heating, fire safety measures and insulation. More complex and ambitious conversions could involve raising the height of the roof, or putting up partition walls to create multiple rooms. Technically yes, but due to the degree of skill, design knowledge and expert construction work required, it is advisable to hire out a professional company who specialise in conversions. This way, you will know that you are in safe hands. Offering high quality workmanship, Kingsmead Conversions Ltd have been delivering skilled loft conversions since 1999, throughout Buckinghamshire and surrounding areas. We’re with our clients every step of the way, from the design phase through to the finish, helping clients turn their vision into reality. Call our team today to discuss your project.